Riverbed Blush Slub Canvas. 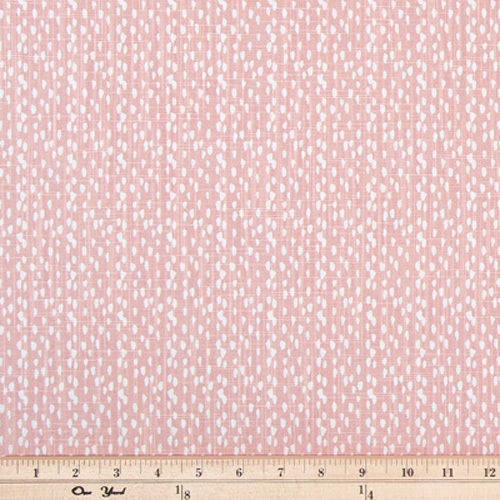 Small scale white water drop print on a peachy pink background. Medium weight fabric suitable for drapery, decorative pillow covers, headboards, handbags or light upholstery. 100% Cotton Slub 8 oz.